Reduce the noise level in the production enviroment for a pleasant working atmosphere. We have developed options for reducing the noise level of our Mikroturn hard turning machines. The noise given off by the machine is mostly produced by the hydraulic unit and the oil cooler. The options listed below enable the noise level of machines that have already been delivered to be reduced from 74 dB(A) to 62 dB(A). This is a reduction in the sound pressure of more than 70%. Another advantage is that these options contribute to more efficient energy consumption. Less noise means better concentration, less tiredness and a more pleasant working atmosphere all round. The Akoustikit is an insulation set which is installed around the hydraulic unit. It is very easy to install and reduces the noise from 74 dB(A) to 68 dB(A). Also available for the hydraulic unit is a conversion kit consisting of a quieter pump and motor, which reduces the noise level from 74 dB(A) to 66 dB(A). Installation of both the Akoustikit and the quieter pump and motor achieves a reduction of the sound pressure of more than 70%. The new generation of coolers can reduce the noise level from 70 dB(A) to 62 dB(A). Various options are available for handling the heat given off by the cooler, such as the connection to a central cooling system. *The measurements where taken in a quiet environment. These may vary depending on the ambiedient noise. (*1) Required: cold water system of the client with a max. temperature of 20 degrees Celsius. (*2) Required: cold water system of the client with a max. temperature of 12 degrees Celsius. Interested in a more pleasant working atmosphere? 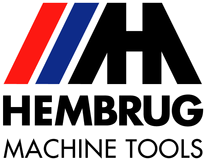 Then contact our service department at service@hembrug.com or +31(0)23-5124927.